Don’t you hate it when you’re wrong? Last Friday when I picked Medium Boy up from preschool, the aid asked me if we had one of the book bags. (They send home bags with a book and a stuffed animal that goes with the book for the parent and child to read together and snuggle with.) I didn’t remember seeing it so I said that I didn’t think so but I would check. I looked for it a little over the weekend but didn’t find it and really didn’t remember Medium Boy bringing one home. When I dropped him off on Monday I asked his teacher if they had found it and they still hadn’t. I’m usually pretty good at keeping track of things like this. (at least I was until I had child #3. Three kids makes you lose your mind sometimes. :) ) She told me that she might have made a mistake and sent it home with someone else so she sent a note home with all of the kids that day asking if anyone had it. Later that evening I was thinking about it and thought that I might remember him getting it but didn’t remember seeing it again. So, it finally hit me to check the car. 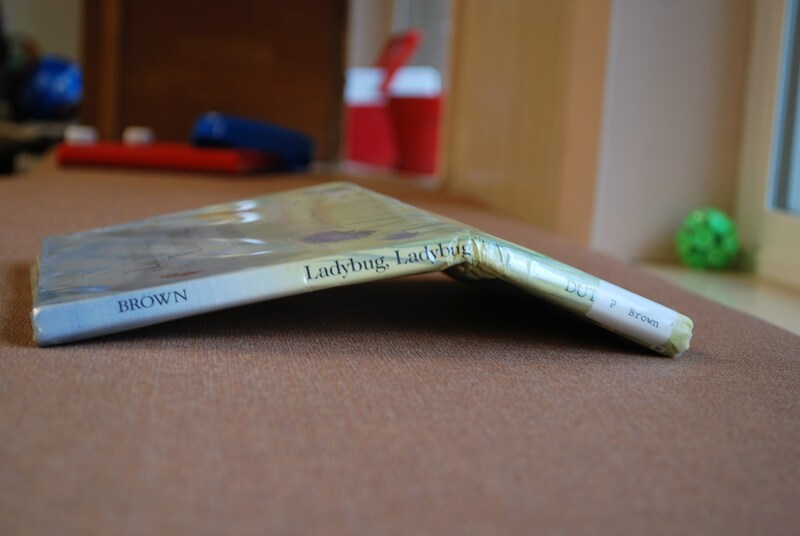 There it was, under the folded down back seat, the book totally bent in half. Yikes! I’m pretty sure it didn’t look like that when he left preschool. So, not only do I have to bring it back and tell her I was wrong, I also have to tell her that we ruined it. And look at the sticker displayed on the front the whole time. Luckily for me there is a thing called the internet where you can find out of print books at bookstores in Oregon and have them sent to you to replace ones folded in half by your car seat even if you have to pay about 10 times what it probably cost the preschool teacher to buy it from the library discard sale. 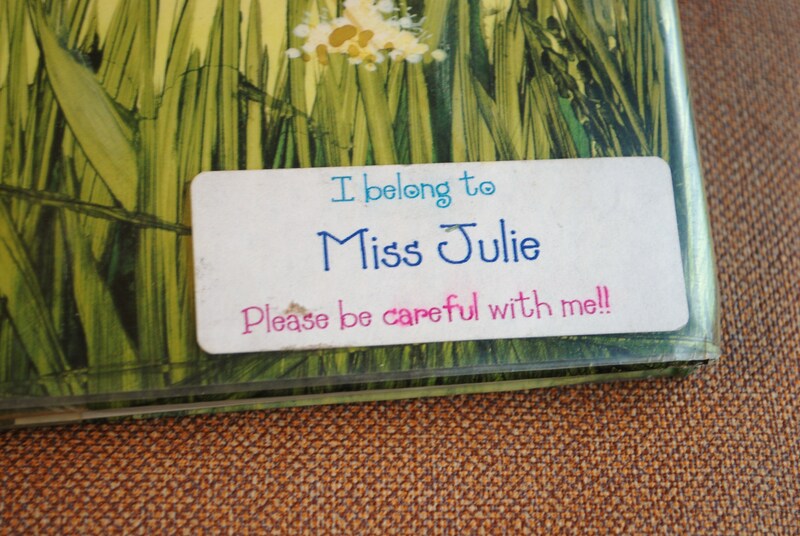 Hopefully Miss Julie will trust us with her books again. oh how i hate it when i do things like this!!!!! it does happen to everyone and kudos for the fast thinking replacement book. i had to (wanted to) bring a thank you/i;m so sorry note and small gift to my boys teacher this week. i was 30 minutes late picking them up!!!!!! seriously, i think i am loosing my mind sometimes.